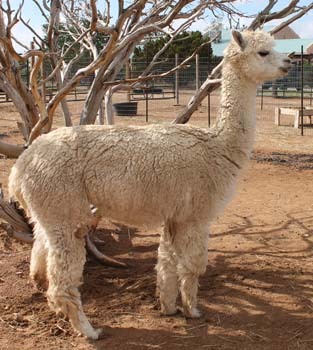 Sagebrush Caruso is a handsome herdsire with prestigious Legacy genetics. Sagebrush Juliette is a terrific example of the fine qualities of the Legacy line. She has held her soft and fine fiber remarkably well over time, with an AFD of 21.9 in 2015, at the age of 8. 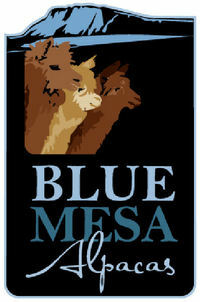 Light fawn BlueMesa Liz has a terrific pedigree strongly of the foundation Legacy Line. Her sire Sagebrush Caruso is a Legacy grandson, and her dam Sagebrush Juliette is out of Crescent Moon's Shockwave. Her fiber reflects the fine qualities of her Legacy lineage, maintaining a superior level of fineness over time. 2017: AFD 22.0, SD 4.1, CV 18.8, 3.1% > 30u.